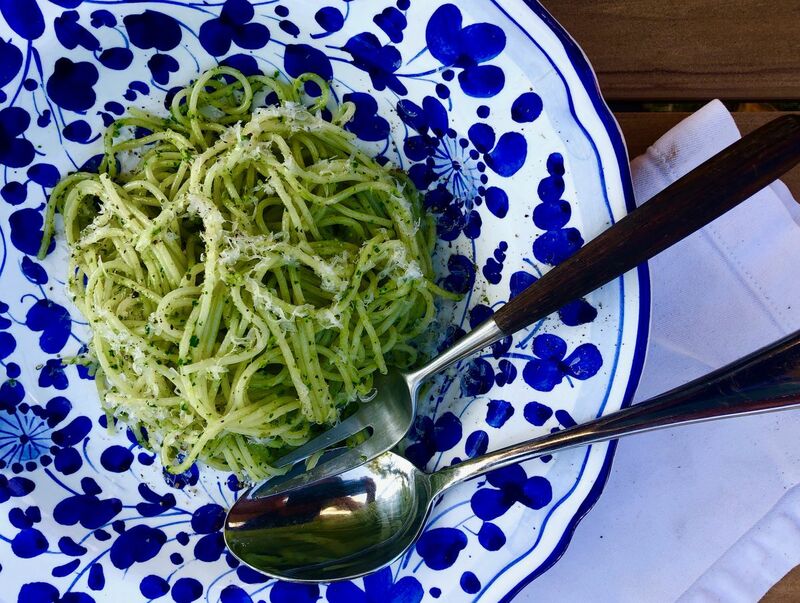 This recipe for Alaska-style super pesto is freezer perfect. 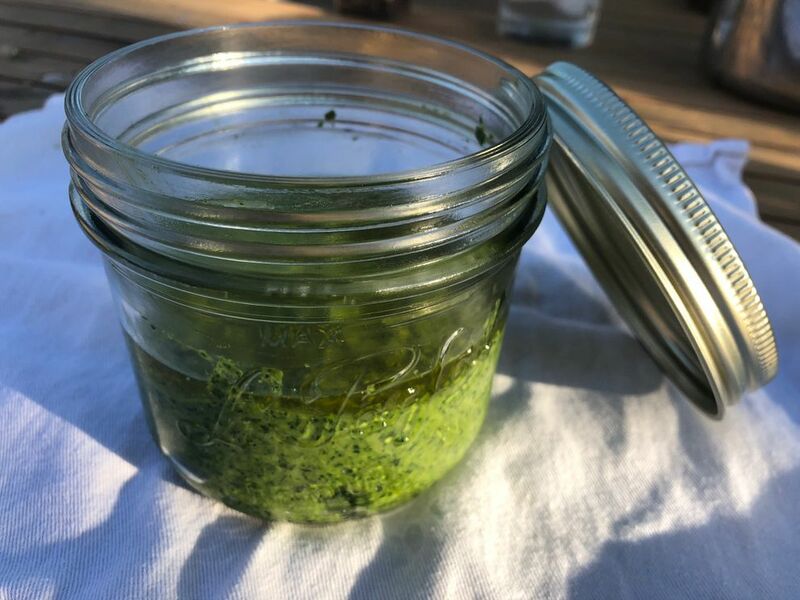 I call it super pesto because when you infuse a traditional pesto recipe with Alaska's crazy late-summer leafy greens, you increase the nutritional value. But beyond that, when you freeze this stuff, it's like sending your wintertime table a love letter from the greenest part of the summer. This recipe is extra flexible, meant to accommodate whatever you've got on hand, including wide greens and fiddleheads. I like a 50/50 herbs-to-greens ratio, but I've made this recipe without any herbs or with just a handful and it's been great. The key is to taste it and adjust the salt and acid at the end. I didn't put this in the ingredient list, but I also sometimes add a drizzle of balsamic vinegar to give the sauce an extra tang when the greens are mild. The other BIG SECRET, which comes from Alaska blogger Natasha Price, is the butter. Those couple tablespoons (make sure it's room temp!) really bump up the flavor and help it coat the noodles. Add a little bit of pasta water and you're golden. Block of parmesan, pecorino or romano about the size of a deck of cards, roughly chopped. Or about 1/2 cup grated. Throw the cheese in the bowl of a food processor (a Vitamix blender will also work, but the pesto will be smoothie texture at the end) with the garlic and the seeds/nuts. Give it a good couple pulses so the cheese is broken down. Add the rest of the ingredients. Whir it around until it's the desired texture. Add more oil, acid or salt, depending on your taste, and a grind of pepper. Toss with hot pasta (add a tablespoon or two of pasta water), store it in the fridge with a layer of olive oil over the top or portion into two small freezer bags and freeze. Makes enough for roughly 2 pounds pasta. Store pesto in the fridge and keep it green by covering it with a layer of olive oil.